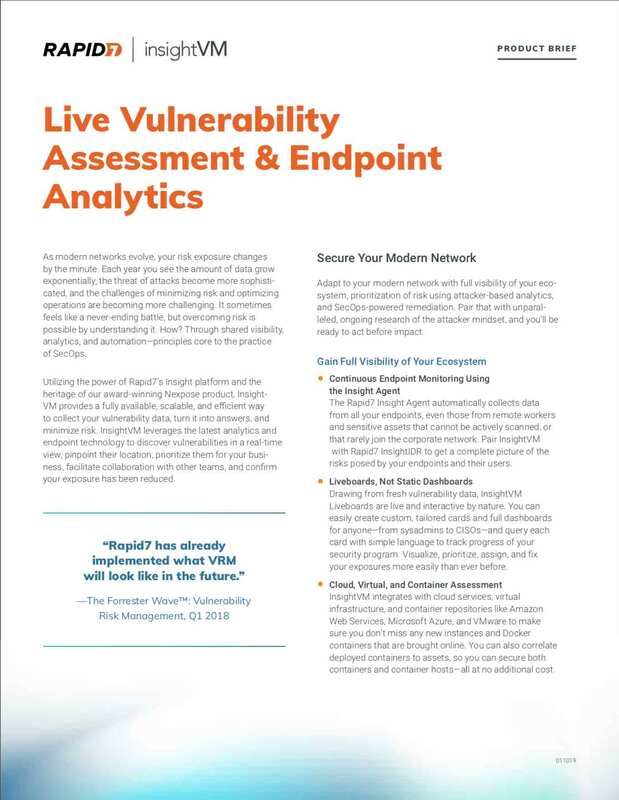 Rapid7 InsightVM is the next evolution in vulnerability management. The modern network is no longer compromised simply of servers and desktops; remote workers, cloud and virtualization, and mobile devices mean your risk exposure is changing every minute. InsightVM provides a fully scalable, and efficient way to collect your vulnerability data, turn it into answers, and minimize your risk. Identifying, prioritizing, and managing vulnerabilities all the way through remediation is not only possible, it can be simple. Right now, thousands of companies are using Rapid7 solutions to transform their asset and vulnerability data into answers that power their security program. Learn more about InsightVM Live Monitoring and Adaptive Security gives your vulnerability management program fresh data, granular risk scores, and knowledge of what attackers look for, so you can act as change happens. 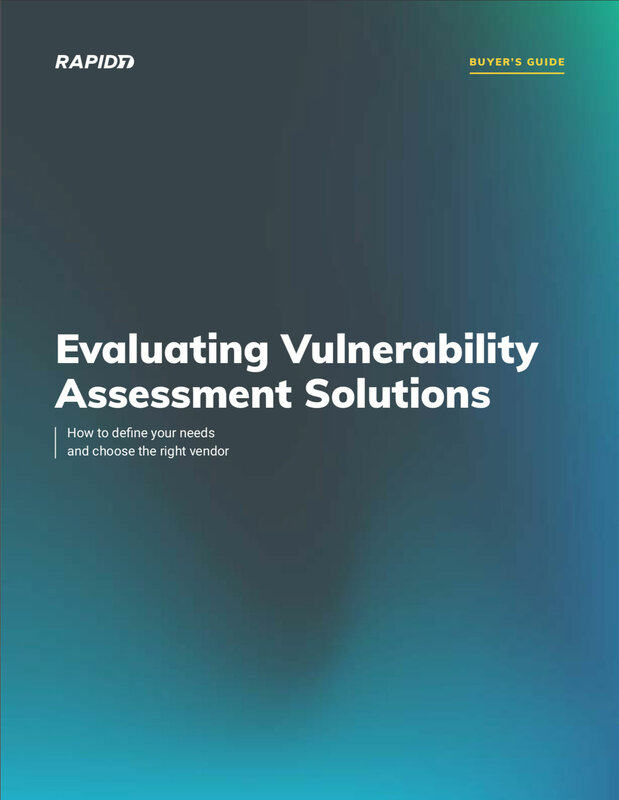 Check out the vulnerability management buyer’s guide, with an easy to use checklist, to help you determine your requirements for selecting effective vulnerability management solution for your organization. Identifying, prioritizing, and managing vulnerabilities all the way through remediation is not only possible, it can be simple. 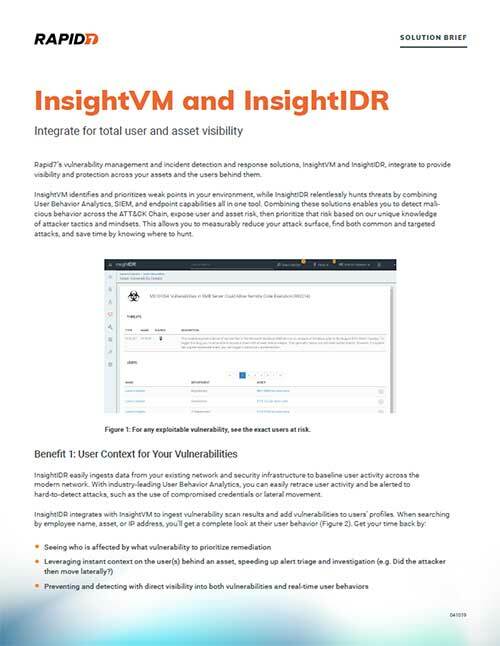 Learn more about the evolution of vulnerability management and the launch of Rapid7’s InsightVM.